Since it was not feasible at the time to go to Haiti my son decided he wanted to raise money to help them out in some way. I helped him make jars with signs on them asking people to donate their spare change to the children in Haiti; he put these in several stores in our home town and ended up collecting $235! In November of 2010 a team from our church went to Haiti with that none shall perish. Jason sent the money he had collected with them, asking them to use it in some way to help children. When the team visited the village of Carrefour Poy, they learned that it would be helpful to have a bridge over a little stream that runs near the church and school. 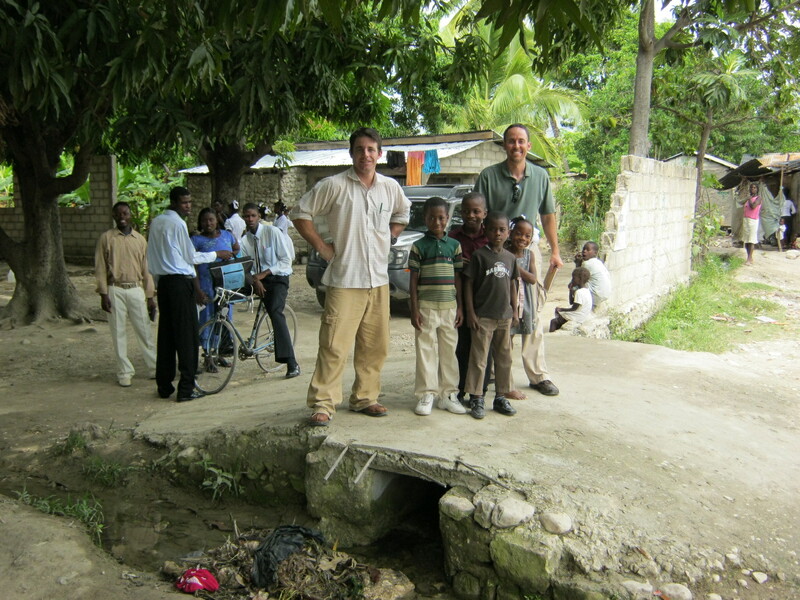 This little stream is the village’s main source of water, but during the rainy season in Haiti, the stream turns into a raging torrent which would make it impossible for the children to cross to get to school. The money that Jason collected was just enough to purchase all the materials needed to build a bridge over the stream. Jeremy (Jason’s dad) and Logan of That None Shall Perish ministries with some of the kids of Carrefour Poy standing on the bridge in November of 2011.